Brands and their agencies bank on knowing their customers. After all, delivering a winning customer experience—a must for organizations that want to compete for consumers’ attention in this increasingly digital marketplace—is all about tailoring message and delivery. Understanding customer personas, habits, preferences, and tendencies is critical—this knowledge drives campaigns, sells products, and makes advertisers money. In short, it is the business of advertising. Industry titans like Facebook and Google know this and have a good hold on digital media market—for now, that is. Amazon recently rolled out video advertising—a move sure to shake up the ad industry. Here’s why. Before we can talk about the significance of Amazon’s relatively quiet entrance into the realm of video advertising, we need to examine the state of digital advertising today. According to a forecast from eMarketer, digital ad spending will top $83 billion in 2017. The two main players in the space are names with which you’re already familiar: Google’s share of the market is projected to grow over 16 percent, reaching $28.55 billion—a figure that accounts for about 78 percent of all the projected revenue for search ads in the US in 2017. eMarketer forecasts Facebook’s display ad business, on the other hand, to hold over 39 percent of the country’s display market with revenues skyrocketing by over 32 percent this year (see Figure 1). As Instagram becomes more appealing to B2B brands, its growth as a platform is certainly helping to spearhead Facebook’s dominance in the world of display advertising. It’s not only that, though—Facebook just launched a B2B video campaign that encourages advertisers to create short clips specifically for smartphone users. Facebook’s move is strategic. A separate eMarketer report found that video, in fact, is the only display ad subcategory seeing gains while traditional options like banner ads diminish in popularity. The same report found the number of consumers who view—and are thereby influenced by—digital video is expected to rise from 221.8 million in 2017 to 239.2 million in 2021. Quite a jump for five years’ time. Sounds like Facebook and Google have the advertising market cornered, right? Not if Amazon has anything to say about it. 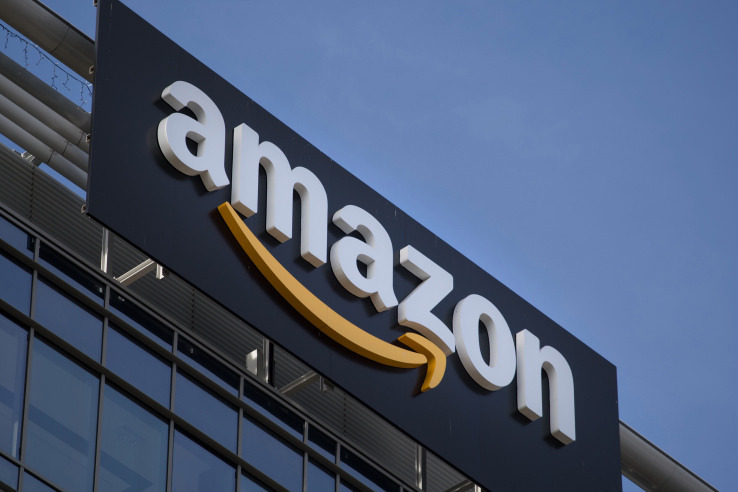 In early March, Amazon introduced Amazon Video Ads (AVA) as a service for advertisers under the Amazon Media Group (AMG) umbrella. Essentially, the service allows marketers to show consumers’ targeted video advertisements while they shop Amazon using any device—mobile included. The ads play automatically and are muted unless consumers click on them. As Mashable reported, Amazon stepping foot into the digital ad world is “terrifying” for the likes of Facebook and Google. Why? Google might know your search history, Facebook might know your “like” history and what content served up by algorithms you interact with or even buy from. But for many, Amazon holds the biggest repository of information about its consumers than any other brand. Think about it. I explore on Google and Facebook, but when it comes to buying, in many instances, I head straight to Amazon. Amazon knows what I read, what I listen to, what brands I like, how often I buy any number of products, how old my kids are, what I feed my dog, what technology products I use, what kind of phone I have, what I watch. Good lord, Amazon knows it all. So, when it comes to the ability to serve up ads that are uniquely tailored to my preferences, Amazon is in a pretty sweet position. Oh, then there’s a little product called Amazon Echo—the virtual assistant owned by more than 8.2 million shoppers in the U.S. (and growing). More than that, 82 percent of consumers who shop on Amazon know about the voice-activated power of Echo, so it’s no wonder the research firm Consumer Intelligence Research Partners LLC (CIRP) found Amazon sold 3.1 million in Q4 of 2016 alone. Those voice-activated devices are like tiny data powerhouses dotting kitchen counters and bookshelves around the country, and Amazon is the data mothership—the data mothership that just introduced video ads with a clear advantage when it comes to targeting. Facebook and Google are strong players in the digital ad space, and the rise of video as an advertising medium is not exactly a state secret. Amazon throwing its hat in the ring has huge implications for the market, especially because Amazon is king when it comes to consumer intelligence. And consumer intelligence is fuel in the engine of effective advertising. See the connection? What’s your take? It will be interesting to watch Amazon’s roll-out unfold.